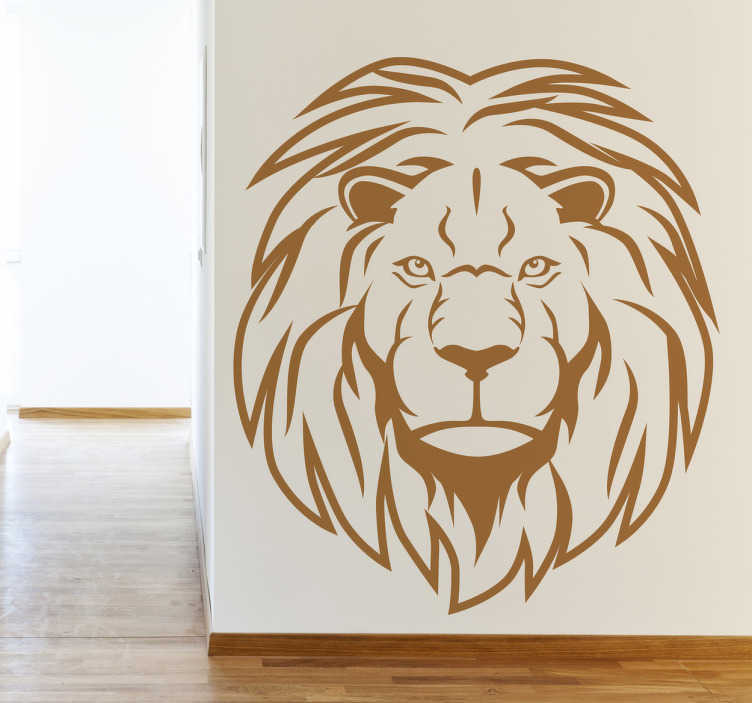 Wall Stickers - Decals - Striking portrait illustration of a fierce african lion, the king of the jungle. Distinctive feature. Ideal for all ages. Suitable for decorating walls, furniture, appliances, devices and more. Available in various sizes and in 50 colours. Made from high quality vinyl. Easy to apply and easily removable.